Hello my lovely readers I hope your week is going well so far! 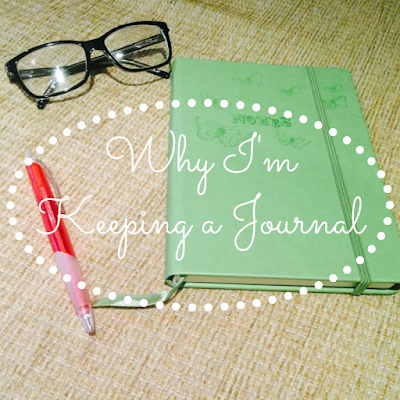 Today I'm going to be sharing with you my reasons for keeping a journal this year. I haven't kept a proper journal or diary for so many years now, I think the last time I was at Primary school writing the name of my crush all over it in hearts. So why at 22 have I decided to keep a journal again? Well firstly because I am someone who cannot think in straight lines, my head is always a bit of a jumble of thoughts and ideas. Writing down my thoughts and feelings is a great way of arranging them all out and clearing my head. Another reason, I think the biggest reason for me, is that writing for 10 minutes a day has been found to boost creativity. I love being creative and so anything that may help me improve on my creativity is a massive bonus. I'm also starting a journal as a way of taking me away from my phone. I'm not one of those people who is glued to their phone 24 hours a day but I do often find myself looking at my phone when I could be doing some more productive. I'm hoping keeping this journal will help me break that habit. I also think that this will be a great way to jot down all the ups and downs of the coming year. Then when 2016 is over I will have all my memories written down in one place. I'm really looking forward to keeping this journal, hopefully I'll be able to stick to it. I hope you enjoyed reading this post, do you like this idea? Do you keep a journal? I love the idea of a gratitude journal, it's so sweet! Of course I'll keep you update my wonderful friend! I hope your 2016 has been great so far beautiful!